Individuals who feel called to minister others through counseling often complete a Christian counseling degree online. Flexible options make these degree paths ideal for those who want to use their skills and talents to help those who are struggling. While the Bureau of Labor Statistics (BLS) does not maintain job data on those working in pastoral counseling specifically, roles for substance abuse, behavioral disorder, and mental health counselors are predicted to grow by 23% between 2016 and 2026. If you're thinking about completing a biblical counseling degree online, use this guide to learn about common paths, curricular requirements, and available careers. 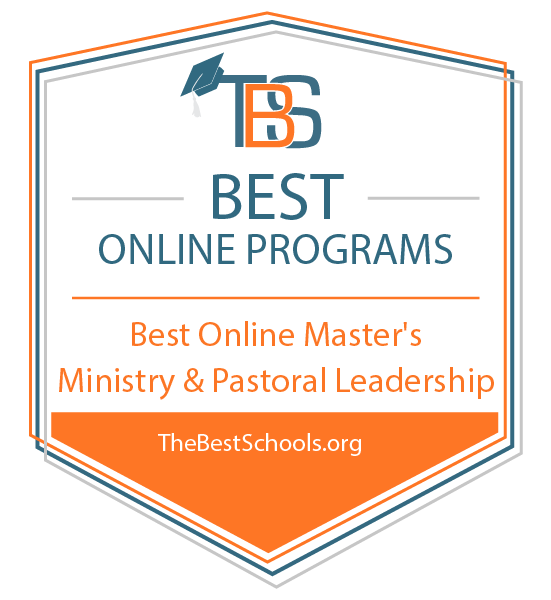 What Else Can I Expect From an Online Master’s in Biblical & Pastoral Counseling Program? Liberty University in Lynchburg, Virginia, offers more than 600 academic programs to over 100,000 enrollees. Liberty’s almost 350 online programs include an online Christian counseling degree, which blends psychological knowledge and theological study. The online master’s in pastoral counseling degree includes 36 credit hours that most learners complete in a year and a half. Learners can transfer up to 18 credit hours into the program, accelerating completion to as little as one year. Students complete classes in systematic theology and issues, theories, and foundations of pastoral counseling in addition to an internship. Students can also participate in two on-campus optional intensive training sessions. Liberty’s program does not prepare students for clinical licensure but prepares them to be spiritual counselors and pastoral leaders. Students study with noted Christian theologians and spiritual leaders through Liberty’s Rawlings School of Divinity. Liberty University is regionally accredited by the Southern Association of Colleges and Schools Commission on Colleges. Founded in 1869 and affiliated with the Church of Christ, Freed-Hardeman University in Henderson, Tennessee, offers undergraduate and graduate degrees to almost 2,000 learners. Dedicated to empowering students through faith, knowledge, and service, Freed-Hardeman offers an online master of arts in pastoral care and counseling that's grounded in theology and practical application alike. The online master’s degree in pastoral care and counseling at Freed-Hardeman University includes 48 credit hours of coursework and internship requirements. In addition to classes on the New and Old Testaments, communication in the ministry, and psychopathology, students study theory and practice of family therapy, grief counseling, and clinical intervention from a Christian perspective. At the end of the program, students complete a 6-credit hour internship to gain hands-on experience and apply degree knowledge. Learners prepare for careers as youth ministers, preachers, Bible school teachers, and other leadership positions within the Christian community. Freed–Hardeman University is regionally accredited by the Southern Association of Colleges and Schools Commission. Calvary University in Kansas City, Missouri, owes its foundations to the merger of Kansas City Bible College and Midwest Bible College in 1961. The Citadel Bible College of Ozark, Arkansas, joined Calvary in 1987, further contributing to the school’s mission to offer nondenominational undergraduate and graduate programs based in service to Christ and a biblical worldview. Calvary’s online master of arts in biblical counseling includes 54 credit hours including core classes in systematic theology and hermeneutics. Learners can transfer six hours into the program. Biblical counseling courses provide learners with foundational knowledge about evangelism in counseling, marriage and family counseling, and leadership and influence. Students must declare a cognate from areas such as addictions and dependency, practical theology, educational services, and organizational development. Learners also study research and complete a thesis or an internship. Calvary University is regionally accredited by the Higher Learning Commission. By completing a Christian counseling degree online, students gather knowledge and skills that help them in various professional settings. While some programs focus on preparing graduates for roles in the church, others outfit them for work in counseling centers or private practice. Common classes that learners can expect to take include marriage and family counseling, small group ministries, trauma assessment and interventions, and the biological components of addiction and recovery. Graduates often take on roles as substance abuse counselors, church counselors, chaplains, life coaches, or non-licensed counselors. In order to work as a licensed counselor, applicants must complete additional education. When looking at Liberty University's online Master’s in Christian counseling, some of the specialization areas offered include addictions and recovery, community chaplaincy, marriage and family, crisis response and trauma, and military resilience. These mirror many other Christian counseling degree online paths, but prospective distance students should speak with admissions panels to learn about individual offerings. Depending on how they plan to use the degree upon graduation, and if they hope to complete additional education, students typically participate in a practicum, a culminating project, or a thesis. 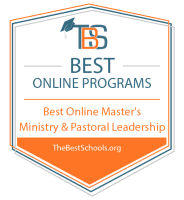 What Else Can I Expect From an Online Master’s in Biblical and Pastoral Counseling Program? When reviewing the following sections, students should remember that programs vary. Before committing to any Christian counseling degree online, research the program to learn about specifics. Given the specific nature of a pastoral counseling degree online, these programs often exist as specializations of other degrees rather than providing additional concentrations under the pastoral counseling umbrella. When researching prospective programs, learners will likely come across a variety of degrees leading to different outcomes. Individuals who decide to complete a master of divinity in pastoral care, for instance, usually pursue this program because they plan to work within the church to provide counseling services. Those who enroll in a master of arts program, conversely, often want to offer Christian counseling services but plan to do so without working at a church. For those who aren't sure which path they might take or are equally interested in both, the master of theology in pastoral counseling is commonly pursued by individuals who want to work inside and outside of the church. With a focus on bringing together theory and application, this course ensures students understand the tenets of common pastoral counseling methodologies and helps them decide which one best suits their beliefs and goals. Students take part in role-playing exercises using various frameworks. Given the sensitive and confidential nature of counseling professions, students take this course to understand their responsibility as practitioners. In addition to analyzing court cases, students review ethical codes and case studies to help them think through various scenarios and how to respond to them. Students review some of the common tenets of crisis intervention and discuss how those fit into pastoral interventions. In addition to standard areas of crisis and trauma, learners also consider how spiritual challenges factor into these difficult moments and how their training can help. This course introduces students to the different cycles of child development before moving into discussions of how to appropriately provide counseling at different life stages. Common topics for this course include trauma, abuse, eating disorders, bullying, learning disabilities, and parental disagreements. This course exists for individuals who want to work with active military members and veterans experiencing issues related to their service, including posttraumatic stress disorder and traumatic brain injuries. Students learn how to treat issues such as depression, addictions, anxiety, stress, and suicidal ideation. Graduates of online pastoral counseling degree paths can choose from a variety of careers, depending on the populations they hope to serve and the work environment they prefer. Some work for companies that employ counselors, while others choose to strike out on their own. Substance Abuse, Behavioral Disorder, and Mental Health Counselor: Working in a variety of clinical and non-clinical settings, these professionals provide therapy to individuals working through issues such as addiction, behavioral problems, eating disorders, and mental trauma. They evaluate their clients' mental state, create treatment plans, monitor changes, and consult with other mental health professionals. Marriage and Family Therapist: Working with couples, children, and families, these professionals serve as mediators to work through feelings and emotions. They encourage dialog between spouses or children and their parents, create communication assignments, and connect patients with other valuable resources. Individuals must possess a Master’s degree to pursue these roles. School Counselor: Aside from helping students sort out classes and think about college, school counselors help students identify their strengths and talents, deal with issues affecting school performance, provide counseling, and serve as someone students can speak with about personal issues. School counselors must hold a Master’s degree.